This book is about mathematics. But also about art, technology and images. And above all, about cinema, which in the past years, together with theater, has discovered mathematics and mathematicians. It was conceived as a contribution to the World Year on Mathematics. The authors argue that the discussion about the differences between the so called two cultures of science and humanism is a thing of the past. They hold that both cultures are truly linked through ideas and creativity, not only through technology. In doing so, they succeed in reaching out to non-mathematicians, and those who are not particularly fond of mathematics. 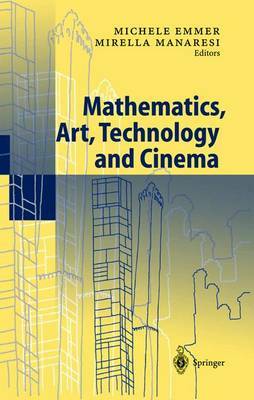 An insightful book for mathematicians, film lovers, those who feel passionate about images, and those with a questioning mind.